This riveting collection of tales chronicles some of the most pivotal situations and decisions that women face in modern times. These stories of survival, success, sadness, and celebration will dig deep into the twisted roots of womanhood then abruptly return you to the humbling depths of sisterhood. I look forward to you reading my chapter ‘Fighter : We Aren’t Born, We’re Made’, and sharing your feedback. Pre-order your full copy now at http://herchroniclesbook.com/ , and celebrate the official release with us on November 11th! Carla R Jenkins, the CEO of Phenomena Corporation, is a stellar expert specializing in business, branding, project management and positive change management. 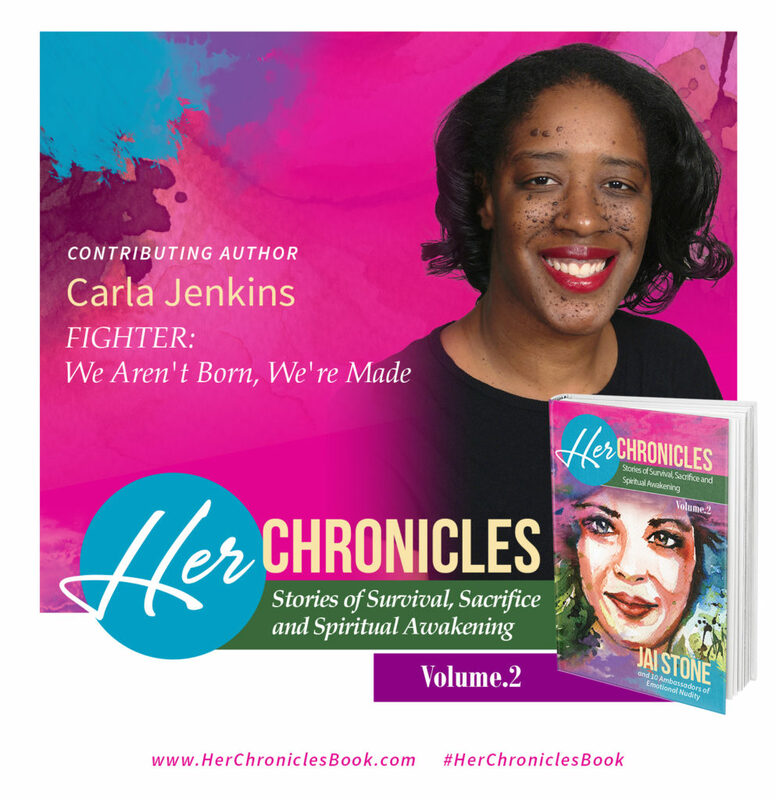 Carla R Jenkins is a business visionary and trailblazer who coaches and leads organizations and individuals in meeting their business, economics, branding and project management needs. Furthermore, in 10 years’ work experience, Ms. Jenkins has received 4 promotions in 10 years. She is also the chief blogger for PositivityChange.com, a positive change management blog, and PM.Expert a project management blog. P.S. To stay updated and join discussions about the book, make sure to like our Facebook page here: http://www.facebook.com/herchroniclesbook.